Home » For Your Information » What is a Dark Galaxy? What is a dark galaxy? Well a dark galaxy is an early galaxy formation that is very inefficient at forming stars and is thought to be made up of dark matter. They are usually small low density gas-rich galaxies that have been thought to be the building blocks of today’s bright star filled galaxies. Since dark galaxies don’t hold any visible stars they are invisible to us making it very hard to detect. 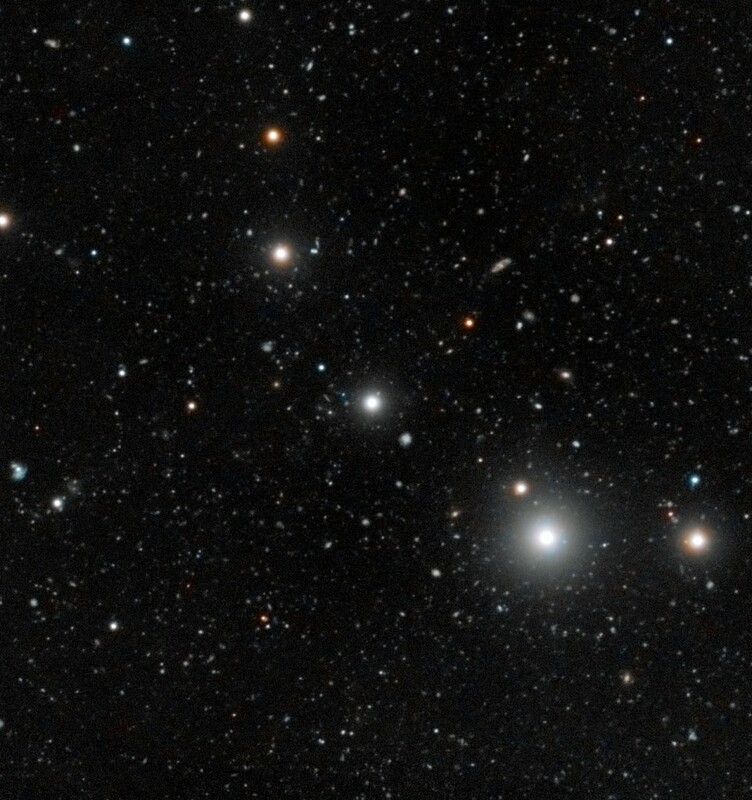 The theory of dark galaxies originated in 2000 when astronomers were studying a gas cloud called VIRGOHI21. Scientists were trying to figure out what it was and why it could cause a gravitational pull from the galaxy NGC 4254. After years of research they concluded that VIRGOHI21 was a dark galaxy due to the massive effect it had on NGC 4254. Well how does an astronomer detect a dark galaxy if they devoid light? Interestingly astronomers use quasars (which is an active galactic nucleus that shoots out a beam of energy) which lights up the dark galaxies making them visible. The team that discovered this dark galaxy also discovered 100 other objects just by using this new technique of lighting up nearby object from a quasar. There is still much to learn about dark galaxies and what secrets they hold about the early universe. For more information check out ESO’s blog post.